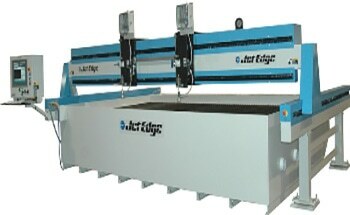 Jet Edge offers the Mid Rail Gantry waterjet system in various sizes, ranging from 5' x 5' (1500 x 1500 mm) to 24' x 13' (7300 x 3900 mm). 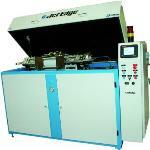 This workhorse water jet system can cut complex components from almost any material. 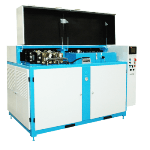 It is engineered to deliver reliable service in extreme industrial environments. 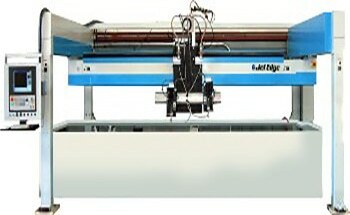 The Mid Rail Gantry waterjet system does not vibrate due to its sturdy design, which isolates the motion system and the catcher tank, this results in optimum part quality. 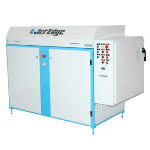 Any Jet Edge waterjet pump can power the system and multiple cutting heads can be added. The Mid Rail Gantry is equipped with the Aquavision® Di industrial PC controller and is ball-screw driven to achieve optimum accuracy. 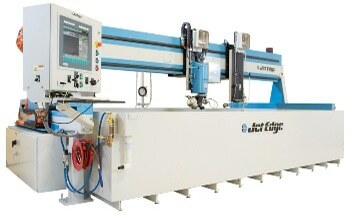 It also has single or double carriages and direct-couple AC brushless digital servo motors. Heavy metal covers protect key bearing components with positive air pressure and brush seals. Part cycle time can be halved with optional mirroring capabilities. 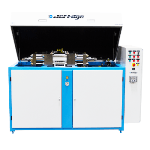 The Aquavision® Di Controller is considered the industry’s most sophisticated waterjet motion controller. The customized front end guides users through the process, starting from job set-up to production. Plate alignment, rotation, mirroring, single parts, and part arrays (optional) are available with a click of a button. The fully networkable controller enables the user to create part programs offline and transfer them to the hard drive of the system for production.